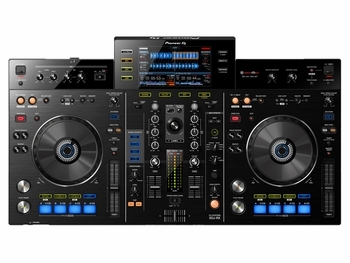 Pioneer XDJ-RX All-in-one DJ System DJParts - All Variety of Parts that DJ Needs. Get ready for the next generation. The XDJ-RX is a next generation, all-in-one DJ solution that inherits the DNA from our club-standard set-up. This DJ system integrates two USB-driven players and a 2-channel mixer with powerful performance features. You can also connect additional CDJs and/or turntables and use the XDJ-RX as a stand-alone mixer. 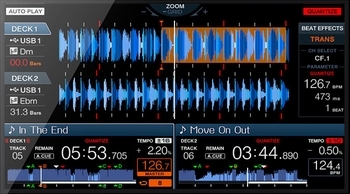 The 7-inch, full-colour LCD screen displays information from both players simultaneously, including waveforms, playback position, BPM and beat grids. It also allows you to quickly browse and select tracks, with easy access to artwork and Hot Cue info for each track. The system's tactile pads can instantly trigger Hot Cues and Auto Beat Loops – or you can choose and slice tracks on-the-fly with the Loop Slice function. Single or continuous playback modes give you more control and the option to choose a Loop Slice style that suits any music genre.